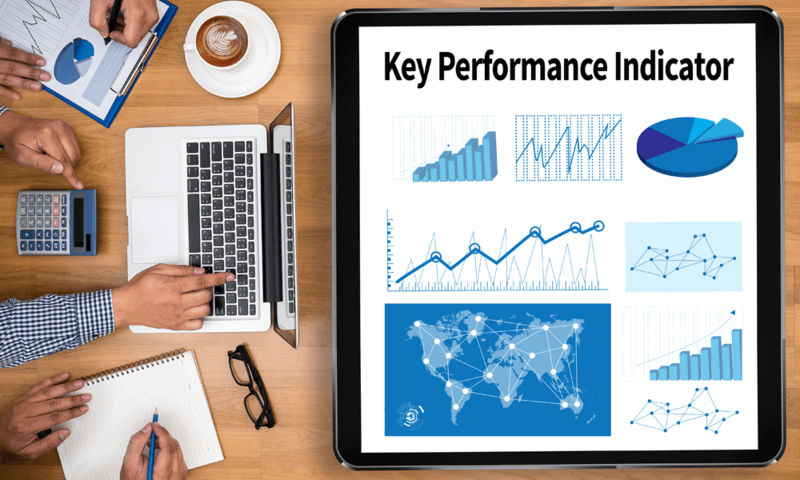 Key Performance Questions (KPQs) help companies develop better and more meaningful and useful performance indicators. Like with most things, there are right and wrong ways to go about creating your KPQs. Here I want to outline 6 simple steps that will help you develop great KPQs for your organisation. KPQs should derive from your strategy. Once you have clarified your strategic objectives and ideally mapped them into a one page strategic map you can start developing KPQs. My suggestion is to design between one and three KPQs for each strategic objective. Obviously, the fewer KPQs the better because every KPQ will trigger key performance indicators (KPIs) and we don’t want to create an unnecessary administrative burden in collecting data that is not really needed. Similarly to KPIs, it is far too easy to come up with a whole host of questions and this is why some time needs to be taken to identify which question you really need answering. What is it you need to know in order to make better informed decisions? In the same way that your strategic objectives should be unique, your KPQs should be unique and reflect the requirements and focus of your organisation at this point in time. KPQs should not be designed in the boardroom alone. Designing KPQs is a great opportunity to engage a wider group of people in the organisation as well as some external stakeholders. Try to involve people in the process and ask them what question they would see as most relevant. Once you have designed a list of KPQs take this back to the subject matter experts or different parts within and outside the organisation to collect feedback. For example, take the KPQs that relate to marketing back to the marketing department to discuss and refine. Remember that KPQs communicate to everyone what really matters in an organisation and the more people understand and agree with these questions the more likely it is that everybody will be pulling in the same direction. Why did you decide to go to Greece on holiday this year? How well are we meeting our customers demands? How could we improve our supplier relationship? Closed questions such as ‘have we met our budget?’ can be answered with a simple ‘yes’ or no’ without any further discussion or expansion on the issue. However, if we ask an open question such as ‘how well are we managing our budget?’ the question triggers a wider search for answers and seeks more than a ‘yes’ or ‘no’ response. Open questions make us reflect, they engage our brains to a much greater extent, and they invite explanations and ignite discussion and dialogue. Whenever possible, KPQs should be phrased as open questions. Questions should be phrased in a way that addresses the present or future: "To what extent are we increasing our market share?" instead of questions "Did we increase our market share?" By focusing on the present or the future we open up a dialogue that allows us to ‘do’ something about it. We then look at KPIs in a different light and try to understand what the data and management information means for the future. This helps with the interpretation of the data and ensures we collect indicators that helps to inform our decision making. A good KPQ is relatively short, clear, and unambiguous. A KPQ should only contain one question. We often produce a string of questions which makes it much harder to guide meaningful and focused data collection. The language should be clear and not contain any jargon or abbreviations that non-experts or external people might not understand. Likewise, try to stay away from management buzz words and ensure that the question is easy to understand and uses language that people in your organisation are comfortable with, understand and use. Once KPQs have been created it is worth waiting to see what answers come back – i.e. how well the performance indicators are providing answers to the questions and how well the KPQs help people to make better informed decisions and facilitate the right discussions. Once they are in use it is possible to refine them to improve the focus even more. Here are some practical examples of KPQs developed by organisations I have worked with. As you will see, good starting phrases for KPQs are ‘How well…’ or ‘To what extent…? To what extent are we improving our profit margins for our new services? How well are we driving up loyalty among our most profitable customers? To what extent are we reducing our production waste level in Plant A? How well are we responding to the most exciting opportunities that the market is offering? To what extent are we enhancing our international reputation? How well are we improving staff engagement among our high potential employees? Finally, don’t forget that each organisation needs to design their own unique KPQs in order to reflect their unique strategy and address their own important issues.